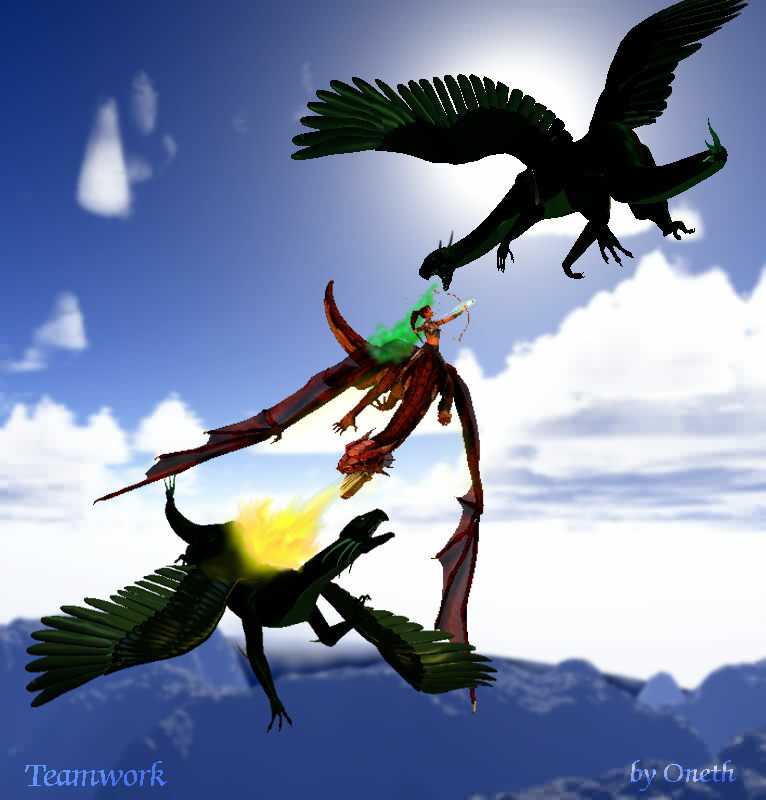 I built Arokh and some non-standard Crow Dragons with Dragon Factory for Poser. It is cool! Now here is how you're supposed to fight on dragon-back. Dragon with flame and rider with arrows! Pow! Get 'em! Click here for more Drakan Stuff!